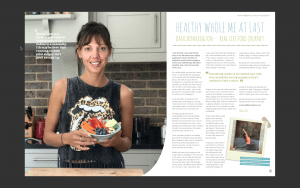 Healthy Whole Me At Last? How surreal. 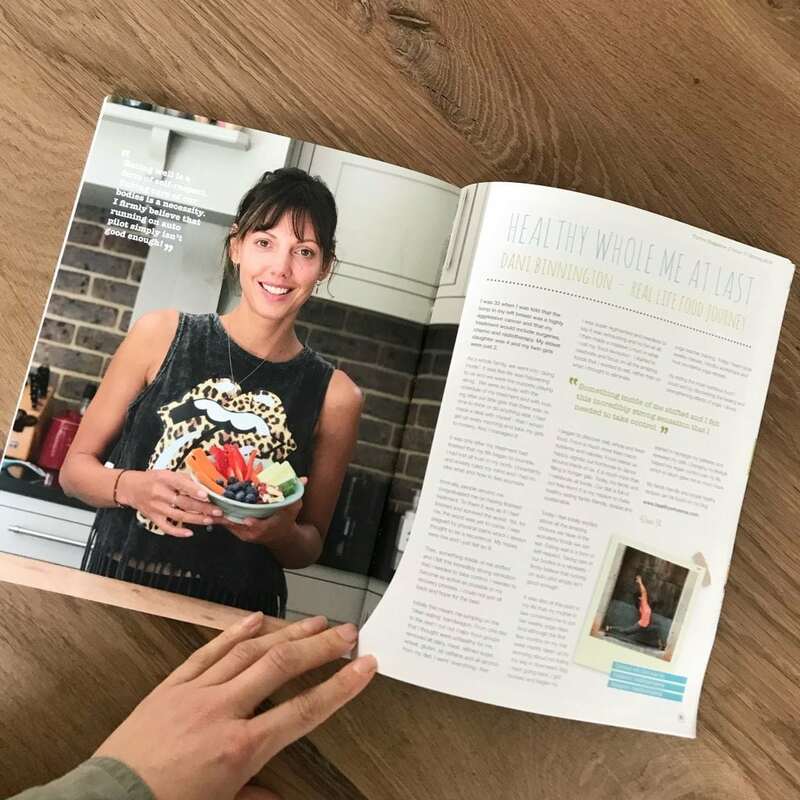 To see my face in a magazine and to read my words on paper rather than on facebook, instagram or here on my little blog. When I first decided to share my journey of recovery from #breastcancer it was because I needed help, support, ideas and motivation. So Healthy Whole Me was born. A place for me to find inspiration and to share what has helped to find a place of calm and recovery in a wholesome way. Including my physical and emotional wellbeing. No-one can go through major difficulties on their own and stay sane at the same time. And I knew deep down that you can only get help and support and more if you are honest about what it is that you need exactly. It may seem so hard to begin with, but only when you tell your friends and tribe that you are feeling low, can they try and support you. Only when you say you need a hug are you most likely to get one. Needing help and support does NOT make you weak or incompetent. It means you are human! It makes you real. By showing your vulnerable sides others will also show theirs more easily. And then it is your turn to help and support. So if at all, there are a handful of people who feel inspired by my story, then being open and showing my vulnerable side has been totally worth it. Thank you to so much to Sue, the editor of #Thrive Magazine for sharing my words. And thank you to ALL of you who have been there for me and supported me and who listen to me talk about food and yoga all day long 😉 I’ll always be grateful for every hug I received.